When something is compelling, it catches our attention. We’re drawn to it, even changed by it. 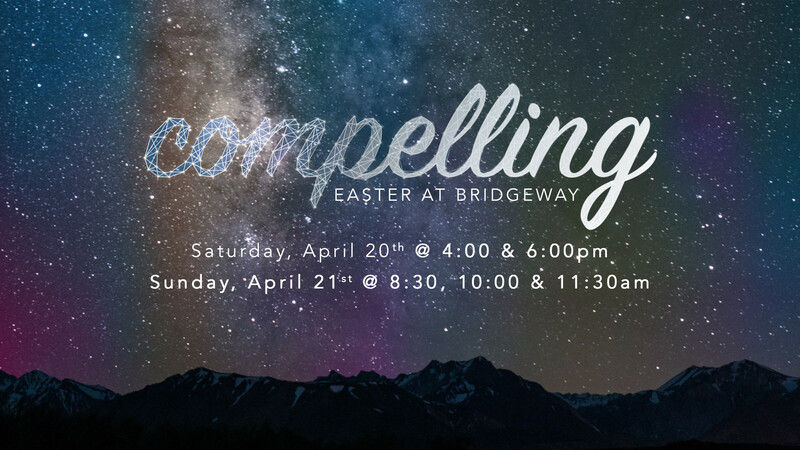 We invite you to join us this Easter as we celebrate the resurrection of Jesus, an event so compelling that it is still changing lives today. We hope to see you there to celebrate the resurrection of our King! Kidsway will be available (babies - 5th grade). MSM and HSM will not be meeting. Students are invited to attend main service with family. We also have a Good Friday service on Friday April 19th at 6:30 pm.